Was sitting at lunch today after church at a Panda Express. As I cracked opened my fortune cookie, I was reminded of how often I’ve been getting questions, on and off the stage, over the last several weeks concerning end times prophecy as it relates to the “blood moons”, the last of the tetrad being tonight in just a couple of hours. 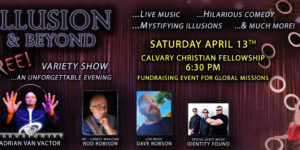 As an illusionist, I’ve spent quite a bit of time explaining and exposing various claims of the supernatural, comparing and contrasting these “modern” day claims to the claims and miracles performed by Jesus of Nazareth. Of course, unless you are a first time reader, the conclusion I’ve made, as a “magician”, is that the kinds of things Jesus did are unlike anything any magician, psychic or mystic can do or ever has done. Jesus proved his claims of being divine. I prove these other claimants to be false. In my travels across the globe, having spent time with these other claimants, I’m always reminded and saddened by just how gullible and easily taken in, people are. I had hoped that those who have come to know Christ would be a bit more like the Bereans who tested everything that even the apostle Paul taught against the scriptures. This current astronomical obsession prompted me to throw together some words today, that I hope can serve as just a little reminder as to what (or more accurately, Whom) we should be putting our focus and energy on. “Spirit” here can mean message or messenger. It’s like saying, every “wind of doctrine or teaching”. What is troubling to me is how popular certain teachers or authors have become through questionable newspaper apologetic predictions about when our world is going to begin to unravel and bring about the end of this age. The simple question is, on what basis? 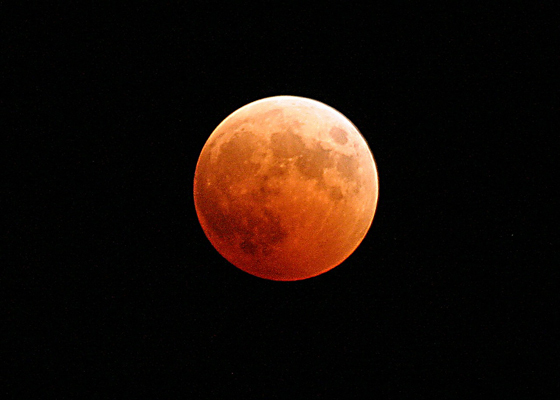 Jewish festivals and lunar eclipses? Really? As followers of Jesus, we are to test everything to see if it is true. I don’t have time to write an essay on blood moons and the shemitah here, but, there are some basics of the faith that suffice for an answer. I am confident that tonight will pass and the world will continue as is. Except the damage done to the credibility to the gospel. I avoid those who use fear tactics to sell books (and pad their pockets) based on esoteric interpretations of ancient Hebrew traditions and astronomical occurrences. At best, it’s a waste of time reading their books. At worst, it’s divination. I was surrounded by such individuals during the early years of my faith and saw the damage that date setters caused to all those around me, including family members. Members who are today, still paying the price in falling for these pseudo prophetic predictions. When I read what some of these very popular authors write, they claim to have special vision and insight into these matters. We used to call this, astrology! I’m not suggesting this is what some of the popular teachers are doing, but, it comes dangerously close. It’s ironic to me that, in some cases, not often, believers will express great concern and sometimes even disdain for what I do as an entertainer and apologist, that is, sharing the gospel with those who have never heard through the platform of an illusionist. Since I make it crystal clear what I am doing and how I am doing it during my presentations, those concerns almost always vanish. Yet, in that same church will be posters, books, and even sermons about blood moons and ancient calendars and how to be ready for the return of our Lord on a specific soon to come time frame. In other words, looking to the stars for signs and meaning (astrology). Dates are set, bags are packed, and the guessing game goes round and round. And when they are wrong, as they have been 100% of the time (Jesus has not returned yet and we’re still all here), they have to search deeper into the scriptures and claim and special vision or interpretation that God gave them and write another book adjusting their dates, pointing to new signs, events and Jewish traditions. Here’s an interesting angle on the history of date setters. Therefore, don’t let anyone judge you in regard to food and drink or in the matter of a festival or a new moon or a Sabbath day. These are a shadow of what was to come; the substance is the Messiah. Let no one disqualify you, insisting on ascetic practice and the worship of angels, claiming access to a visionary realm and inflated without cause by his unspiritual mind. (Colossians 2:16-18). All that the ancient Hebrews practiced, as commanded by God, from the temple sacrifices and the keeping of the law, to Sabbaths and festivals, were types and shadows pointing to our only and true substance, Jesus Christ, the fulfillment of all of those types and shadows. This is where the cookie really crumbles. To apply meaning from these ancient traditions to the USA in some 21st century context not only abuses scripture but confuses believers and puts a stumbling block before the unchurched when these predictions do not take place. Jesus will return, some day, and no one will know when that will be. The purpose of these passages of scripture is so that, when they DO take place, the world will know that it is true, even though they’ve had plenty of evidence already. Newspaper eschatology has and always will be a dangerous game when trying to make predictions and in my expertise into similar predictors and practices outside of the church, I’ve found it to be as great of a deception within the body of Christ. As for the blood moons, I would say the same thing I say whenever a person asks me about how a psychic made an accurate prediction. Yes, sometimes they get a lucky guess and the crowd goes oooooh and aaaaaah. But, what people quickly forget is, first, anyone can get a lucky guess every now and then. Remember, people still win the lottery against pretty bad odds. Second, what you need to remember is how often the psychics get it wrong. The same can be said for these blood moons. Could something happen tonight? Tomorrow? Sure could. But, how many times has nothing taken place during such rare astronomical events? Getting one out of a hundred guesses correct no more makes you a psychic than a few blood moons falling near significant events in jewish history when many others did not. 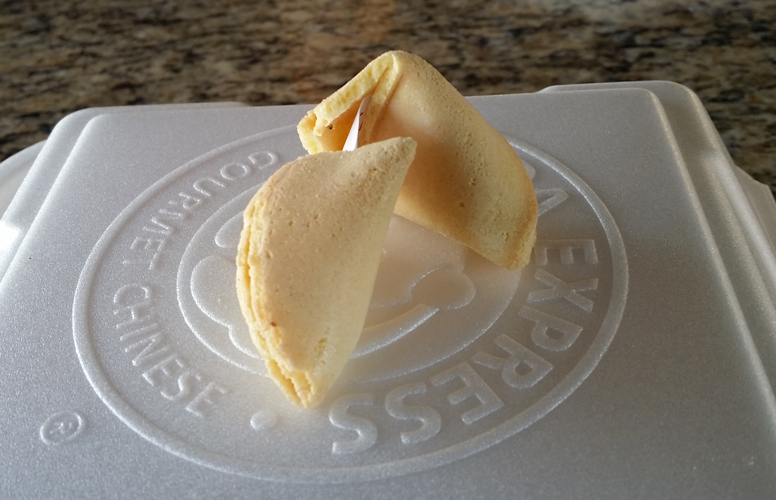 Finally, just like fortune cookies, it’s easy to search for meaning in an event or occurrence. That is to say, individuals who already want to believe will “make up” meaning and application. Just as a psychic will share some vague prediction that would apply to most people and still have people believe that message pertains specifically to them, so to, these esoteric prophecy pushers prey upon that same human habit… to search for meaning that isn’t there. In other words, the same reasons why people still go to psychics and read their astrology charts are the same reasons why these authors can keep writing books, even if they are getting most, if not all of their predictions wrong. People are looking for hope, affirmation that they are right, correct etc and in doing so, will always search for meaning where there wasn’t any to begin with. This morning, my worship pastor sang an original song he had recently wrote. It was awesome! Before he started, he shared how he had been challenged in his conscience with this question: “Is Jesus enough?” I would like to say, yes, for he is the substance of all that has passed in God’s redemptive history. All things are fulfilled in Christ. We don’t need “christian” astrologers to divine the meaning of current events. All we need is to proclaim and defend Christ crucified and resurrected from the dead. And when events to occur and times change, if it is THAT time, the world will know. Until then, I’d rather spend my time and resources proclaiming the gospel and making disciples with the message concerning Christ.